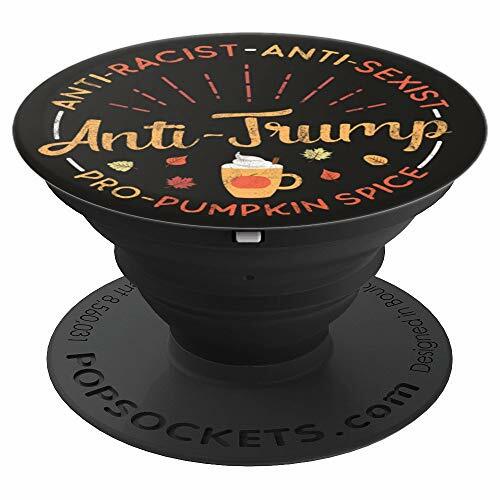 Are you pro-pumpkin spice, but anti-racist, anti-sexist & anti trump Than this is the perfect anti-trump PopSockets Grip for fall lovers for you! Youre an activist who loves pumpkin spice latte! If you want to impeach, this is the PSL accessory you need! Makes a great fall gift for lovers of the autumn season, PSL drinkers & anybody who is anti-trump, wants to impeach trump, progressives, liberals, democrats, feminists! Perfect for taking selfies & photos at fall festivals & parties!